Adult Aerial Fundamentals is our introductory aerial arts class for students who are 16yrs+. This class will introduce students to our aerial equipment and familiarize themselves with common aerial vocabulary. 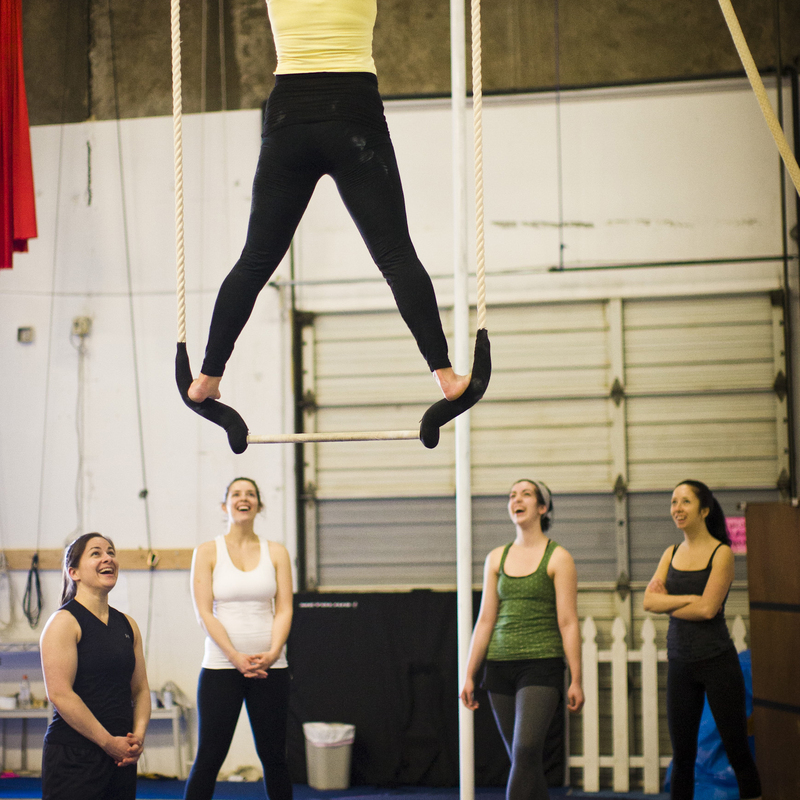 Adult Aerial Fundamental students focus on the basics of body position and control on trapeze, rope, and fabric. In this class you will learn conditioning exercises and stretches as you obtain the skills and develop the strength, flexibility, and body awareness required to move into any of our Adult Aerial 1 Classes.